While we LOVE the Xylophone Coffee Table, and it will superbly impress any child, we admit it’s a little out of most folks’ price range. The alternative? 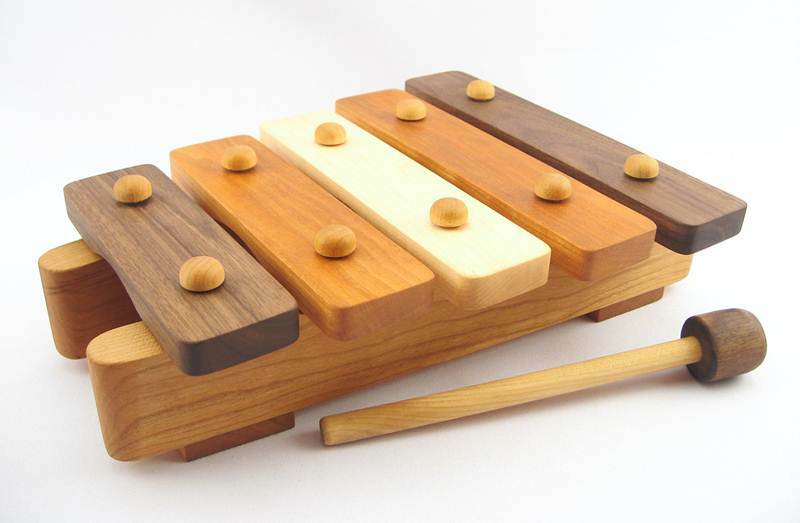 A sweet xylophone that’s safe and affordable from Smiling Tree Toys. This fun musical toy will have your child playing a tune in no time. The naturally colorful xylophone toy is handmade with local sustainable hardwoods and then lightly coated with a blend of homegrown non-toxic, organic camelina oil and beeswax. Now if you’re not a fan of kids’ musical instruments, due to the annoying and often tin-like sounds, you’re in for a treat. This is one xylophone that won’t wreak havoc on parents’ already overstimulated ears. As the video above shows, this musical toy is far from annoying. The xylophone makes stimulating but pleasant wood-on-wood musical sounds that will encourage singing, dancing and creative learning – without driving you nutty. Because this wonderful toy is handmade and one-of-a-kind, the exact musical tones and wood colors may vary slightly, allowing for a truly unique gift. All Smiling Tree Toys arrive in a reusable, natural cotton bag. Lastly, the company donates to Peace Corps worldwide youth development projects for every toy sold, so your gift purchase helps others as well.